In order to track bogus documents submitted by salaried taxpayers to claim deductions, the income tax (I-T) department has introduced a new form that all employees will need to submit to their employers this financial year onwards. Along with submitting the newly-introduced declaration (From 12BB), the employees will also need to furnish evidence and information related to deductions they claim. According to the government notification, if an individual claims housing rent allowance (HRA) of over Rs 1 lakh, he will need to furnish name, address and permanent account number (PAN) of the landlord. Those claiming leave travel allowance/concession (LTA or LTC) will need to give 'evidence of expenditure'. If you have a housing loan and claim deduction on the interest portion, you will now need to provide PAN of the lender along with its name and address. Similarly, relevant proof will need to be submitted for claiming deductions under Chapter VI-A (A) and Chapter VI-A - which cover Sections 80C, 80CCC, 80CCD, 80E, 80G, 80TTA, et al. These rules come into effect from June 1 of this year. "In the 2015 Budget, the Finance Act had introduced Section 192(2D) of the Income Tax Act. According to it, the person responsible for making payment of salary (employer) was casted with an obligation to collect the necessary evidence or proof. However, the relevant rules and form were yet to be prescribed, which the government has done now," says Kuldip Kumar, partner and leader - personal tax, PwC India. He further points out that the details such as quoting of PAN of landlord would help the authorities to track fudged claims. Using PAN of landlord, the authorities can also verify whether rent received by the landlord is duly disclosed in his or her income tax return or not. "The details for claiming HRA and LTA were provided earlier as well but not in this specified format. In some cases, they have asked for more details. Furnishing PAN details of lender for those claiming deductions on interest of home loan, for example, is new," says Amarpal Chadha, Tax Partner - People Advisory Services, EY. The circular however doesn't specify the documents that are necessary to support the deduction claimed by an individual. According to Jiger Saiya, Partner - Direct Tax, BDO India, the existing documents that employees provide should hold good. So, you can continue to give rent receipts for HRA and boarding pass and tickets for LTA or LTC. Other than these changes, the government has also made few amendments that will help individual taxpayers. 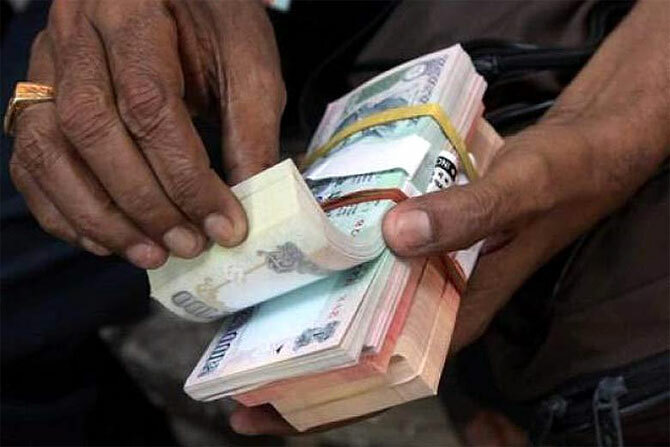 In the same notification, the Central Board of Direct Taxes, has extended the time limit for depositing tax deducted at source (TDS) on transfer of immovable property from minimum seven to 30 days. According to the laws, if a person purchases a property over Rs 50 lakh, he should deduct one per cent as withholding tax on behalf of the seller, and deposit it with the I-T department before the 7th of the following month, failing which there was a penalty. Now the person can deposit the tax by the 30th of the following month.